We offer lower-cost dental treatment in Lima with our dentist who has a solid reputation and a clinic that surpasses many of those in North America. Using superb 3D technology and clinic infrastructure, we focus on very conservative techniques in all dental treatments. 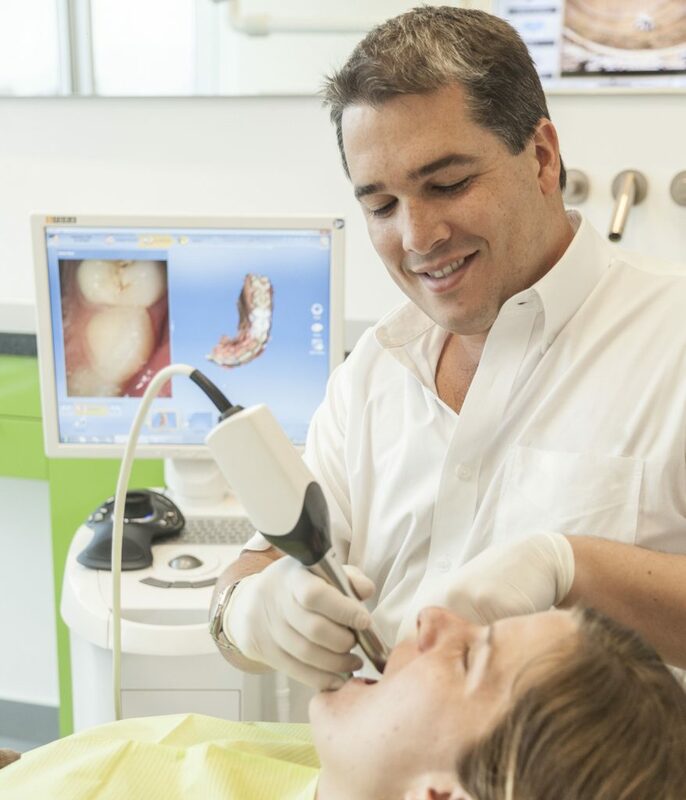 Our clinic boasts specialists dentists in every dental category. Always performed by a specially trained implantologist or periodontist who carefully plans treatment using 3D x-ray imaging, dental implants are the very best way to replace missing teeth. Actually, the dental implant procedure is not as complex as most people think and is not a painful procedure at all. An implant can be placed in about 30 minutes or less. 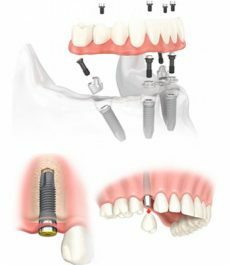 A dental implant is a special screw which replaces the root of a missing tooth. Once placed, this normally needs three months to settle and heal into the jaw bone before the final stage is completed. The final stage requires two things; an abutment and the final crown. 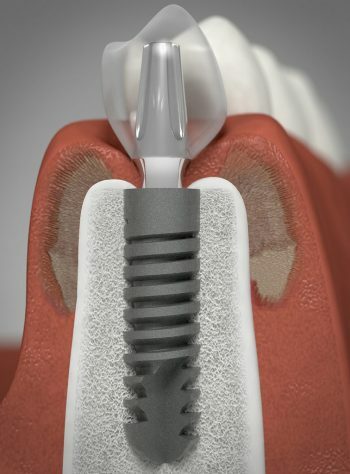 The abutment is a connector which holds the new crown firmly in place, attaching it to the implant. This is a delicate treatment required when, for whatever the reason, a total reconstruction of the mouth is needed due to broken teeth, missing teeth and bone loss. 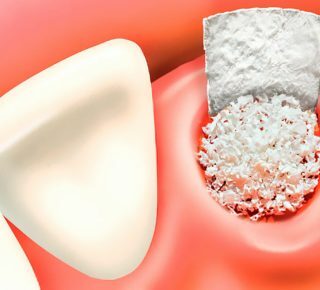 These treatments can require bone grafting, platelet-rich plasma to stimulate healing, dental implants, ceramic crowns, root canals, and other things, too. This normally happens over two or three stages to allow healing after stage one which is to recover bone and tissue. Although this can be a long process, the results are absolutely worth it because it restores a completely new smile, a healthy bite, and most importantly, quality of life. A dental crown, also known as a cap, is used to replace a single tooth that has suffered damage or destruction on the visible areas while the core and root of the tooth is still strong, healthy and in good condition. A crown is a full 360º restoration that sits on the remaining healthy structure of the tooth. 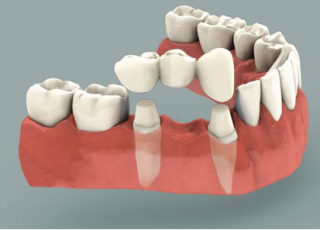 A dental bridge is often used to ‘bridge the gap’ of a tooth that is already missing. For example, if you have one missing tooth, then you need a bridge of three teeth. This is an excellent option to make your smile line whiter and more attractive. Smile Design & 3D CAD CAM Veneers also correct small misalignments without the need for orthodontics and braces. This is a very popular dental treatment in Lima for patients of all ages and is different from a crown because the veneer only covers the front side of the tooth, correcting color, contour and shape. This is purely an aesthetic treatment used to improve the color of the teeth, break down stains and give a healthier, whiter smile. Teeth whitening is totally pain-free, performed in-clinic and is complete in about one hour. A root canal treatment is needed when a tooth is compromised and has an infection or abscess which can often cause a bad taste in the mouth. It can also be required when a large decay has compromised or filtered to the access of the conducts of the tooth. Performing a root canal treatment removes the live root of the tooth. 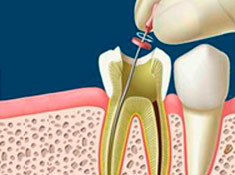 This way, the abscess or decay is treated and the tooth is normally saved. Treating a tooth with root canal therapy is often the last chance to save it before extraction is considered. These are complex surgical treatments such as orthognathic surgery, sinus lift, bone grafting, tissue regeneration, and wisdom teeth extractions. This is a very delicate surgical procedure used to create more bone and space for the placement of dental implants. A sinus lift is normally needed when teeth on the left or right side of the upper jaw have been missing for some time, causing the bone level to reduce and the sinus to become too low for the safe placement of implants. In this case, the surgeon uses a delicate procedure to lift the sinus and place bone into the area, allowing the possibility of implant placement. Firstly, this bone can naturally take many months to recover to the correct level. Or secondly, it may not recover at all, causing the bone in this area to reduce further, remain delicately thin and decrease the possibility of safe implant placement at a later date. Wisdom teeth are normally complex and difficult teeth to remove due to their tendency to grow at awkward angles and their proximity to the nerves in the lower jaw. Safe removal requires the experienced, steady hand of a specially trained maxillofacial surgeon. We cannot list every treatment our doctors perform and many other treatments are also available. Please contact us if you do not see what you are looking for.